Scot McKnight fills in the details here. I am simply going to list them. 1. We know more about Mary than we do about almost everyone in the New Testament besides Jesus, Peter, Paul, and John. 2. Many Protestants know far more about what they don’t believe about Mary than what the Bible teaches about her. 3. The Mary of the Gospels is a woman full of courage, hope, and strategy. 4. The Immaculate Conception does not refer to Mary's sexual condition when she gave birth to Jesus (the "virgin birth"). 5. Protestants think Catholics overdo it with Mary. 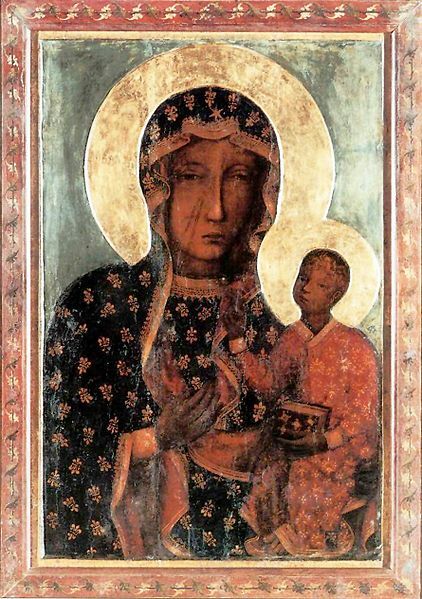 Catholics and the Orthodox think Protestants have ignored Mary. Both are right. 6. Mary's sinlessness and virginity are the key areas of conflict. 7. The New Testament Letter of James is an echo of Mary’s concern for economic justice. 8. Some Catholic tradition emphasizes Mary as a "mediatrix"-- the Church's finest intercessor for prayer. 9. The Mary moments in the New Testament point to Jesus. 10. Mary belongs to the whole Church. Scot's entire post is worth your time.